While the Range Rover Sport doesn’t quite win the award for Most Ostentatious SUV – the Bentley Bentayga has it beat there – it’s hardly a shy and retiring wall flower either, especially in full-fat SVR spec. If you were looking for a little more show and go though then Land Rover has you covered; the new 2018 Range Rover Sport SVR comes with even more power and the option of an unpainted carbon fibre bonnet (just so all your Chelsea neighbours know how much you’re really into weight saving on your 2.3 tonne off-roader). In all serious, don’t expect “the increased use of carbon fibre construction” to make much of a difference to the SVR’s portly kerbweight. However, it should help improve its agility and keep pace with the Porsche Cayenne Turbo S (launched earlier in the year). The power hike should also help it keep pace with its German rivals. 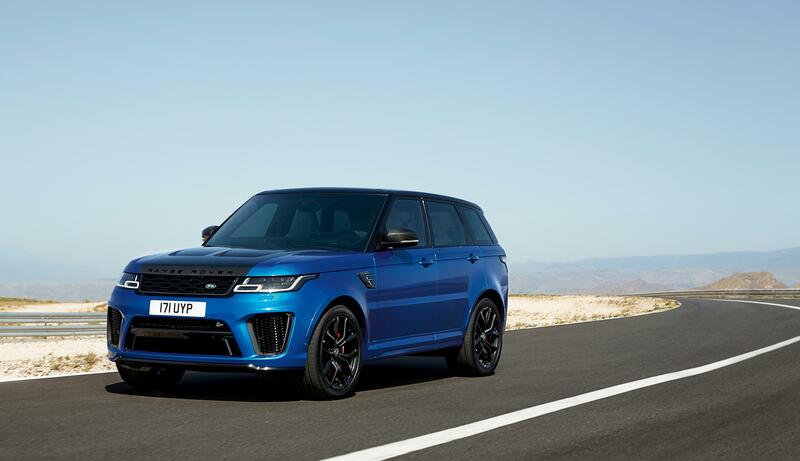 Up from 550hp, the 575hp output sees the 2018 Range Rover Sport SVR sprint from 0-62mph in an almost unbelievable 4.3 seconds. That’s faster than a new Porsche 911 Carrera. In a car that will fit a family of four and two Labradors. Elsewhere, the updated Range Rover Sport range has been bolstered by the introduction of a new plug-in hybrid model, the P400e. As the name suggests, the 2.0-litre Ingenium petrol engine – producing 300hp – combines with an 85kW electric motor to provide a total of 404hp, with a range of 31 miles when driving in full electric mode. It does give a taste of what’s to come though, with Land Rover, like many other manufacturers, set to introduce a fully electric model somewhere in its line-up by the end of the decade. 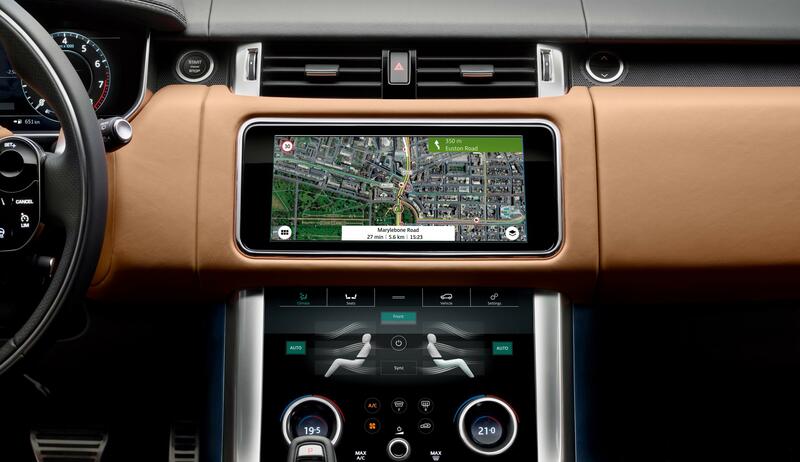 Tech-wise, the Range Rover Sport’s infotainment system gets upgraded with two ten-inch touchscreens (bringing it in line with the new Velar) while Advanced Tow Assist gets added to the SUV’s box of tricks. LED headlights and a general styling refresh top off the facelift, with prices starting at £61,315 for the bog standard four-cylinder car, rising to just short of six figures for the ripsnorting SVR.